A Very British Civil War: The alternative-history miniatures wargame setting with a stiff upper lip. “Here Comes the Hotstepper”—Ini Kamoze: A walk down memory lane. TPT #33: Eberron Campaign Setting & The Gatekeeper Druid: The setting that features the gnomes of Zilargo. As we mentioned on TPT #20, Shane is planning to run a D&D one shot over the holidays. So far, as few listeners have reached out to join in the game. 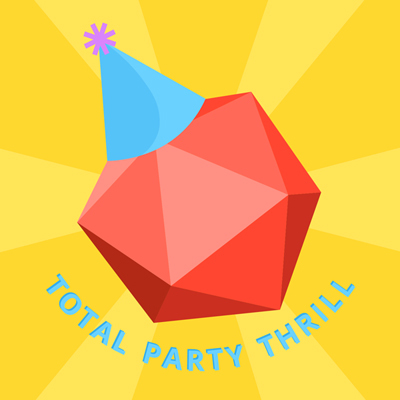 I want to give a quick update with as much information as possible, and encourage anyone who’s interested to reach out to us either on Twitter (@TPTcast) or via email (totalpartythrill@gmail.com). Please note: this game will not be streamed or recorded. 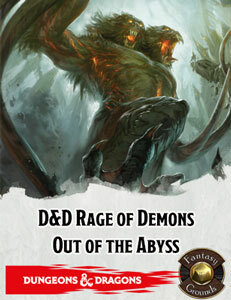 What: D&D 5E One Shot, based on an excerpt from the Out of the Abyss adventure. When: December 30th starting at 7:00pm EST. We’re aiming for a 4 hour session, and definitely won’t go past midnight EST.